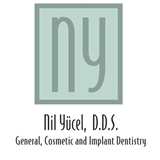 Nil Yucel DDS (San Francisco) - Book Appointment Online! *Dr. Yucel is a out of network provider for Aetna, Anthem Blue Cross Blue Shield and UnitedHealthcare, however she will file on your behalf* Our commitment is to creating the most comfortable environment for our patients,performing "Dentistry as a Form of Art" and delivering our best as we keep up with the changes in the dental field. Our strength comes from a strong sense of responsibility, enthusiasm, concern and care for our patients, our work and one another. Dr. Yucel is the best dentist I've ever visited. She was professional, informative and caring. I would recommend ANYONE to her!